McSally, a former United States Air Force fighter pilot and squadron commander, said Sinema is not fit to be a senator because of comments the Democrat made about the Taliban and anti-war stunts that she pulled in years past. 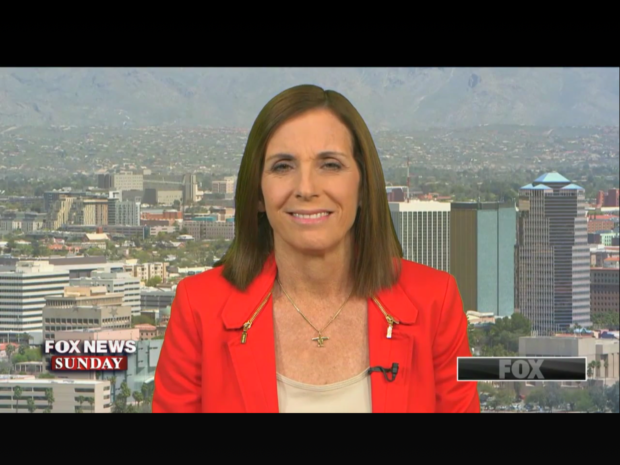 Rep. Martha McSally (R-Arz.) appears on Fox News Sunday. Fox News screenshot, Oct. 21, 2018. Democrat Kyrsten Sinema during the Arizona Senate debate on Monday night Screenshot/ABC15.